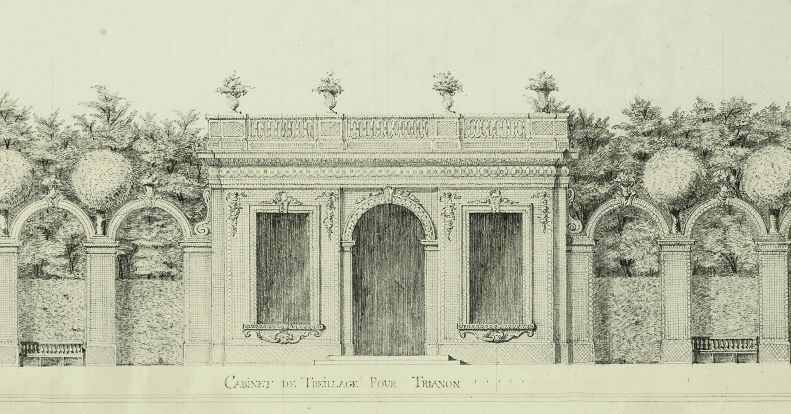 My morning distraction was set in motion by an 18th century engraving of the Cabinet de Treillage at the Petite Trianon at Versailles. I'm something of a geek (I could stop there, but do let's soldier on) about how designs travel and how they are re-invented in each iteration. 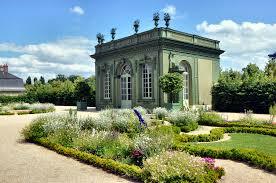 However, as built, the garden house had a flat roof with balustrade, ornamented with 8 urns carved by McIntire. It is a charming structure, with the refined naive elegance and economy of design that typifies the architecture of New England of that era, wood standing in for the stone that would have been used in Europe. 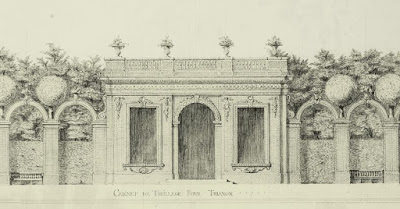 And this is why the engraving electrified me this morning, for it appears that Mr. McIntire had got his hands upon a book of French designs, as in a departure from his usual Palladian and neo-classical inspiration, he seems to have based the design on the Cabinet de Treillage. Or perhaps it's mere coincidence? Coincidence or inspiration, the two buildings have unmistakable similarities of composition. 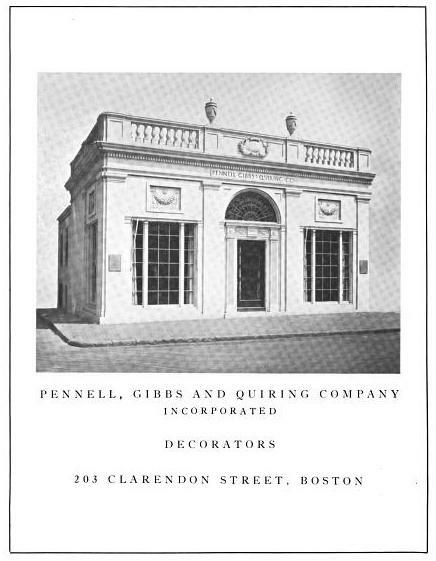 For your final consideration, I offer up this charming storefront, designed for the Pennel, Gibbs and Quiring decorating firm in Boston in the early 20th century. 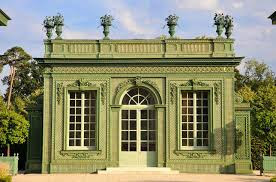 By architects doubtless Beaux Arts trained, it takes the idea of the Derby-Beebe summer house and dresses it up in correct Academic orders (the treillage pavilion uses trellised pilasters of no particular order, and the summer house uses Corinthian, properly not for lower floors), but the design still appears to owe a debt to the earlier building in Salem--although a learned friend disagrees with me, I stick by this. I leave it to the interested reader to draw his own conclusions. When Elias Derby's great house fell to the wreckers, not many years after it was built, the summer house was moved to a family farm in Wakefield, later acquired by the Beebe family. In the 20th century, the summer house was removed from the farm and returned to Salem, to the grounds of the Peabody-Essex Museum. Derby had another summer house designed by McIntire on his Danvers estate, which was spared demolition and traveled to his Granddaughter's "Glen Magna Farm", where it remains today.. It is one of the most exquisite buildings of the Early Republic, and spawned its own host of imitators, including wings of a cottage in Bar Harbor. But that is a story for another day.